1. Log on to Moodle and select the desired course. 2. 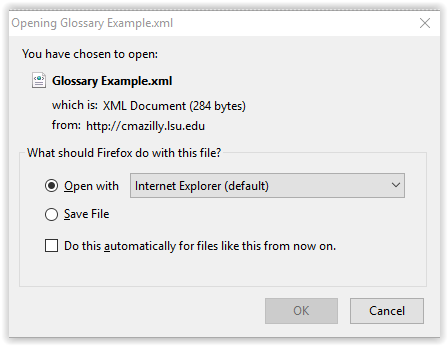 Select the Glossary to export. 3. 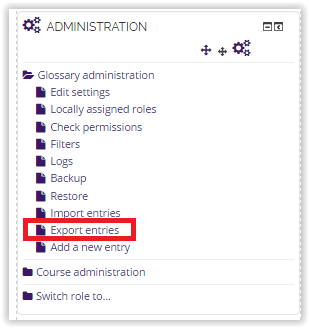 Click on Export Entries in the Administration block. 4. Click on Export entries to file. 5. Choose a program to open the files. Then click OK. The entries will then be downloaded to your computer.